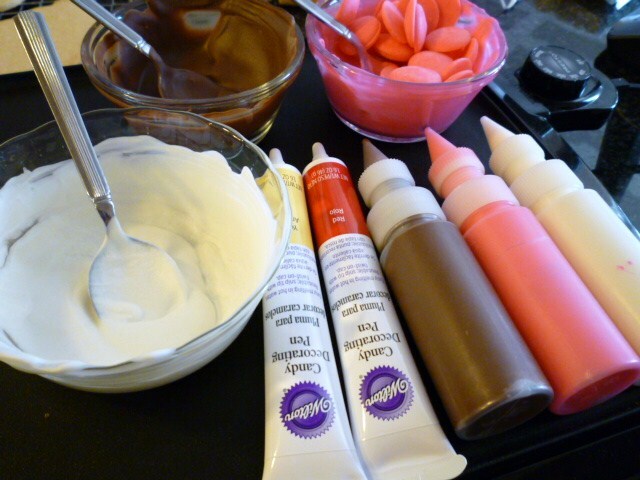 I like to use chocolate/candy melts for many projects. These do not require tempering, just melt and use. Chocolate or candy melts are available at many craft/hobby stores, cake decorating stores and some grocery stores. The two most important things to remember are … 1. Never add water to the chocolate and 2. Do not over heat the chocolate, it burns. You should be able to hold the bowl of chocolate in the palm of your hand comfortably. Store the chocolate in a sealed container at room temperature for a month. If you want to keep it longer, double wrap it and store in the freezer. 1. Electric skillet or electric griddle – Turn the skillet/griddle on to about 150° (when the light comes on) and place bowls of candy on top. I takes a while to melt, but it keeps the chocolate melted while working. 2. Microwave – Melt the chocolate in a bowl using medium power. Each microwave is different, start with 30 second intervals, stirring between each interval. Use shorter times as the chocolate is closer to being completely melted. 3. Double boiler – Bring the water to a boil. Remove it from the heat. Place the bowl of chocolate on top and stir. If the chocolate cools down and firms up, repeat the process. Do not boil the water under the chocolate. Sometimes chocolate can be too thick to work with. 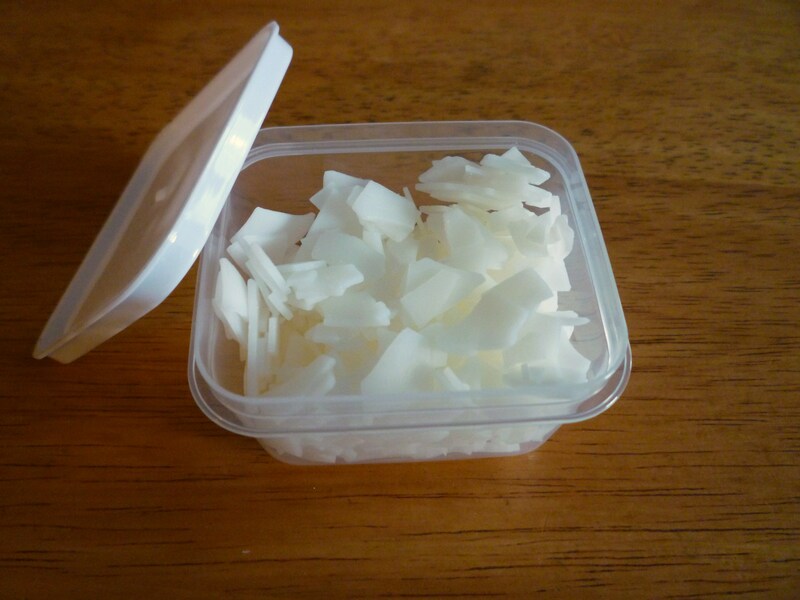 You can add paramount crystals (photo below) found at cake/craft supply stores or vegetable oil. Start with a small amount (1/2 teaspoon) and stir then decide if you need more. To melt and temper real chocolate … I like The Barefoot Contessa’s microwave method. I am curious if there is anyway to color chocolate without having to use candy color? I live in Hawaii and apparently I’m the only one that colors chocolate on the isand and cant find coloring anywhere. I would order it but shipping costs more then the coloring. I have found 1 party store that carries the pre-colored chocalte but want $6 a bag which adds up when you want to make 3-4 different colors and need 2-3 bags. Also is there a brand you suggest using?